The United Kingdom following its referendum, in June 2016, decided to leave the European Union. 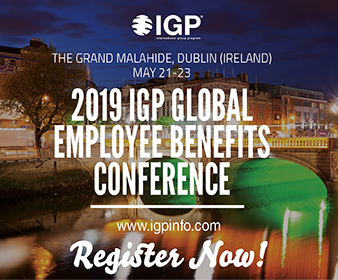 From the perspective of global employee benefits and global mobility, the consequences are unknown as of June 24, the day when “Brexit” was announced. Not least because the modalities and the details of the forthcoming separation of the United Kingdom and the European Union are still to be negotiated according to the Treaty of Lisbon, then implemented. Worse, or happily, there is no precedent to refer to. According to the treaty, the exit must be completed within two years, i.e. before June 2018. So should we sit back and relax, waiting for the rules of the game to be announced? In fact, if adjustments to employee benefits need to be in effect as of June 2018 (plans for local employees, expatriates, business travelers; pooling, or captive financing tools), then new, adjusted plans must be in place as of January 1, 2018. Moreover, as many annual plans begin on January 1 the need for them to be renegotiated in the second half of 2017 becomes more pressing. Meanwhile, it is highly unlikely that the new rules will be known, much less understood, in time for the next renewal season – which is due to start in September 2016. Thus, it is to be expected that the 2017 renewals will be crunch time, with corporations, brokers, consultants, and insurers scrambling to adapt plan terms and structures to the brave, new, post-Brexit world. 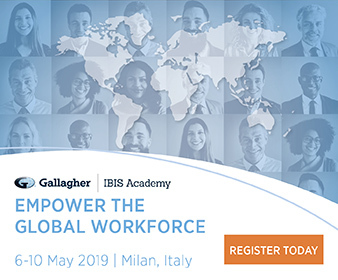 With the help of several industry experts, Global Benefits Vision will gather and share analyses and knowledge about the practicalities of Brexit, as they become known. But before the experts begin sharing their insights, perhaps we might start by breaking down the Brexit issue into several bite-sized chunks. The European Union has never integrated, or even harmonized the social security systems of its member countries. After the completion of Brexit, the UK will operate its domestic National Health System, its pensions system, and other components, as it does today; and, as do all other EU member countries. Social Security agreements between the UK and non-EU countries that arrange transfers of individuals between countries, are bilateral agreements and will not be affected by Brexit. However, transfer of individuals between the UK and EU countries are slightly more complex. Short-term secondments (“E 101-form transfers”) come under EU regulations and will no longer be possible when involving the UK. Long-term assignments come under bilateral Social Security agreements that will not be affected by Brexit. It is always possible to transfer someone under the long-term regime, even for a short period of time, albeit at the price of a higher cost and administrative complexity. More speculatively, and given that the apparent reason for the Brexit is a deep rise of nationalist sentiment in the UK, it is entirely possible that future immigration rules will make it difficult for foreigners to relocate and work in UK. If the US model is any indication, requirements regarding visas, work permits, evidence of local medical coverage, as well as tax disincentives will definitely hinder the movement of people – rendering it less fluid than it is today. Businesses will balk at such developments, but if, for example, the Canadian example is of significance, political expedience should take precedence over economic sense. Built on top of local social security, supplementary benefits are local in nature and should not be materially affected by Brexit. 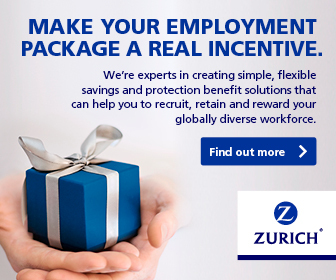 One exception is that pan-European benefit plans based outside the UK will no longer be able to cover UK-based employees. And UK based pan-European plans will become purely domestic ones, and be barred from covering risks outside the UK. As the number of such pension and/or risk plans is very small, the issue is more theoretical than of practical import. For mobile employees, it is likely that any tax break will stop at the UK-EU border; people crossing it will have to change employee benefits plans, or forfeit deductibility. Today, cross-border sales of insurance policies and of mutual funds is contingent on the financial product obtaining a so-called “EU Passport.” The requirements are not very onerous and do make a lot of sense. For example, client documentation must be translated, local consumer protection and data privacy laws must be respected, information/reporting must meet certain minimum standards, and taxes must be paid, as if the product was a domestic one. With Brexit, UK products cannot be sold in the rest of the EU and vice-versa. Whilst this may be an issue for many retail products, in employee benefits we believe this is only of importance to some retirement products targeted mostly at internationally mobile employees, and to captive insurance companies, of which very few deal with employee benefits anyway. Captives using (accepted) reinsurance should not be affected. Again, employee benefits plans are tied to social security, and therefore very local in nature – there are very few plans being actively sold from one country to another on an as-is basis, simply because they are not adapted to local needs. 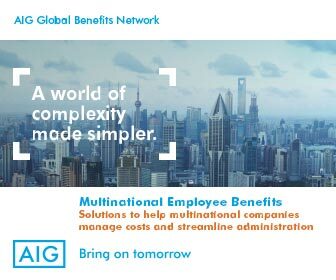 And even fewer insurers design, sell, and administer employee benefits plans in one country tailored for another country’s needs. A trickier issue is that of cross-border insurance brokerage activities. UK based brokers will no longer be able to hop on the Eurostar and advise Continental clients as easily as if they were in Northern England. Licensing requirements will see to that, just as they do today in the US. The solution is simple but expensive: set up shop on the Continent. For an American or Asian multinational, locating its European regional headquarters in or near London has long been one of the most sensible options. Language, expertise, infrastructure, telecommunications, airlines, trains to Continental Europe, even the mild weather make for an easy choice. If the Swiss experience is any indication, with some Swiss multinationals having shifted their center of gravity towards the EU in the wake of a recent anti-foreigners vote, we may see the largest US brokers consider relocating their European presence to the Continent. Whether Amsterdam, Brussels, or Frankfurt will win that competition is anyone’s guess. Or maybe Paris will win the day thanks to its generous labor laws. They are generous indeed! To lawyers and to employees, not to employers, mind you – but you cannot win every time, can you? And for the player in our industry who in early 2016 relocated to London, AXA and MetLife’s pooling network MAXIS, they still have strong bases in the EU (Paris) and in New York and may use them to circumvent any licensing issues as outlined above. Nevertheless, it will add complexity and increase costs; ultimately, corporate clients will have to pay for it. The bottom line of this preliminary analysis is two-fold. Historically and in general terms, the European Union has reduced friction in business by removing barriers, unnecessary differences and red tape in general; Brexit adds to all of that; value-less costs (“wasted heat”) will go up, and someone will have to pay the bill. In a roundabout fashion perhaps, it will be the consumer and/or the individual investor, i.e. citizens. 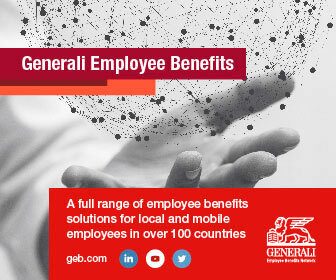 The second point is that whilst things will certainly change in European employee benefits, primarily for internationally mobile people and probably to a much smaller extent for local employees, nothing definite is known at this time. The name of the game in the months ahead is to stay abreast of future developments, carefully separating political posturing – of which we will see a great deal in the coming times – from decisions which will affect our lives as global human resources practitioners. As a further consideration, it might make sense for the industry at large to consider increasing its own resources, as the time available for implementing any new rules may be very scarce indeed. We look forward to publishing a first analysis of the new situation from the perspective of a UK law firm on, or soon after, July 1, 2016. We will then follow this with Continental, US, and other non-EU points of view, endeavouring to provide practical advice on how to handle the situation and how to communicate it to the highest levels of all affected organizations. The British government seems to be reluctant to quickly implement Brexit and announced that nothing would happen before October 2016. However, other EU governments press for a quick exit in order to minimize uncertainty. One exception is Germany as Chancellor Merkel urges caution and keeping a cool head. As soon as June 25, the European Council appointed its chief negotiator. Didier Seeuws, a Belgian national, is known for being an experienced and astute tactician. Before Brexit, 50-year old Mr. Seeuws was the head of the EU directorate for transportation, energy and telecommunication; from 2010 to 2014, he acted as chief of staff of the President of the European Council, Herman Van Rompuy. In a separate move, the European Commission also on June 25 set up “Task Force Article 50” (TF A50? ), which is to write additional legislation as necessary to implement the exit provision of the European Treaties (Article 50) in the case of the UK.